WHO & WHAT IS KNOTHEAD PRODUCTIONS dot com? See our logo in action..click on it. Drawing on both family ties and personal experiences within the industry, KnotHead Productions dot com is dedicated to the development of a wide variety of motion picture, media, photographic and publishing projects. KnotHead Productions dot com was started by Jay Dee Witney, the son of motion picture director William Witney. Why do we call it KnotHead Productions? "Because my father used to call me knot head". In 2017 our KnotHead logo took back its name... 'Old Clapperboard Production'. Look for it on You Tube and Vimeo in the future. The Volunteer Fire Department Story 'Donner Summit': A TV series idea By John (Jay Dee) Witney & William Witney. Registered WGA # 1586568. 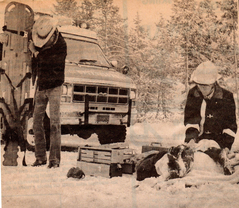 A story about the Donner Summit Volunteer Fire Department in the late 1970' to 1980's. 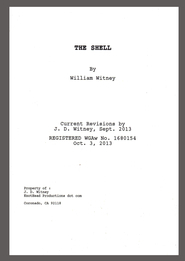 Screenplay in development. 'THE LIGHTNING RIDES AGAIN'...Is a story Idea by William Witney. We are in the funding process with WILLIAM WINCKLER PRODUCTIONS for development on this project. LONDON: The German Connection....Book by Kay ( Mann ) Witney. We're looking to write a screen play based on the title. Various ongoing video (Ultraman behind the scenes dubbing the American voices) and voice over projects with Willaim Winckler Productions. 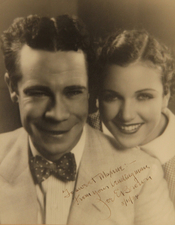 Actress Maxine Doyle priceless collection of over 300 autographed pictures to be published for a table top addition. 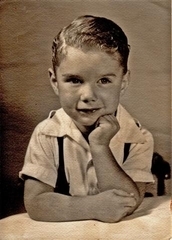 When I was very young, my father (William Witney) would often call me "knothead." Well deserved, I suppose, considering some of the harebrained things I did as a kid. As I grew up and we became pals it stuck as a nickname. So now I've gone and done something stupid again...started my own production company - KnotHead Productions dot com.....get it? Our story, script and manuscript editor. Published author - successful business owner - professional London "Blue Badge Guide" - Certified Wedding Planner. She is the chief KnotHead's "right hand" and better half. Cami is our web and media advisor, logo creator, production assistant and a creative out of the box thinker. She also serves as our European contact for promotions. I think she is in Spain today or maybe Argentina...NO, wait...If it's March it may be London!....she's full of surprises. Yep...our security, both physically and mentally.